To be an international DJ, artist, label owner and director of one of the worlds biggest electronic artist booking agencies must be an amazing thing. 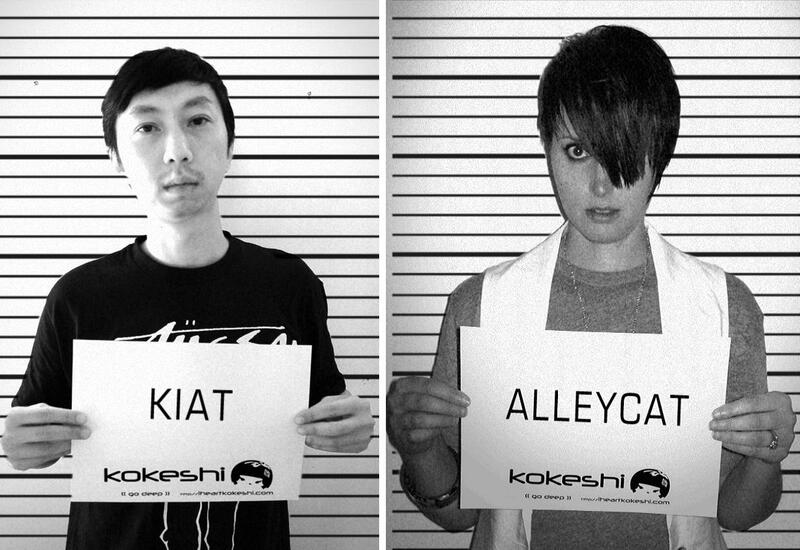 Alley Cat, owner of fresh dubstep / drum and bass / "all things subby and magical" label Kokeshi and director of booking agency ESP International (which represents Black Sun Empire, dBridge, Dom & Roland, Klute and Club Autonomic to name a few) transcribes the inner-workings of her musical-mind in the third release via the Kokeshi label; in a collaboration with Singapore based producer Kiat. These tracks emphasize the mystical and unique style of the label, which delivers a dreamy sound with heavy electro and breakbeat influences. 'Purple Clouds' has a celestial, choral vocal that introduces industrial, jumping beats and flows through the track as it becomes more ferocious and drifts into darker territory. 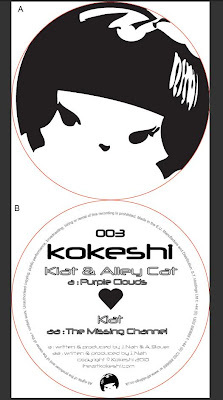 The beats intensify and glitch with ripples of Aphex Twin and you will float away with rich pads that soothe heavy eyes. 'Missing Channel' has a more fantastical feel; as if the introduction and recurring melodies were the soundtrack to a legendary adventure. Pure sub-bass pumps the track into a minimal and profound journey of sound through a vast landscape in which the adventure unfolds and comes to a peaceful climax.